Lurn Summit Review - Is Anik's Digital Event worth it? Lurn Summit Review – Should you Invest in Anik’s Virtual Workshop? There has been an increase in the number of digital businesses being set up today. However, starting and successfully running a digital business for new entrepreneurs can prove to be a daunting task for many people. Digital entrepreneurship is very different from the physical one we are used to where you simply set up a physical shop or store and start selling your goods and services. Digital businesses are way different since the customers are purely obtained from online resources. 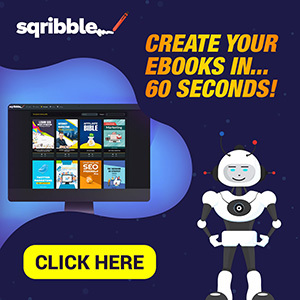 Most of the techniques used in successful online businesses are quite sophisticated, and it is good for new people to have someone who will guide them through their first steps up to the point where they get their stuff running and start making the required number of sales. One of the virtual learning events that is aimed at helping struggling entrepreneurs get to their feet is the Lurn Summit. This is the first of its kind, and it is a virtual online summit where online business people get the chance to be enlightened on the various ways they can make their businesses grow from the little double figure sales to the staggering six figure sales. The summit is scheduled for the 26th and 27th days of August 2017. There have been several reactions over this summit with people actually wondering whether it is a very good idea or it is just another one of the internet sideshows that are meant to garner people’s attention. Well, we are about to find out what this summit is all about and gauge whether it will be something you should attend or not. What Exactly Is Lurn Summit? This is a two-day online summit organized by internet marketing expert Anik Singal. The summit mainly targets the people who are trying to venture in entrepreneurship but are stuck in the first steps. The summit will be donned by a host of the most notable personalities in the digital world, people who are well positioned to give learners detailed advice and tactics that will help them and their businesses grow and reach the next level. It is dubbed as the first ever summit, well I have never heard of a similar one before, and it will be fully online. 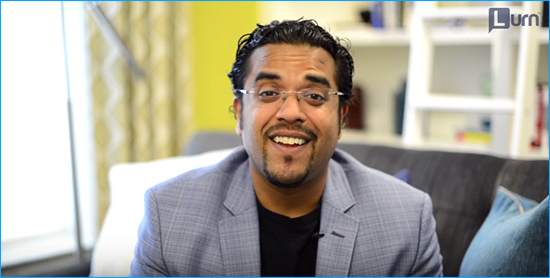 The host, Mr. Anik Singal is the CEO of Lurn Inc. and founder of VSS Mind. He has been severally recognized in the industry as one of the top digital marketers. To be precise, he was recognized by BusinessWeek as one of the best three entrepreneurs under the age of twenty-five years in the United States. His company has been listed twice under the five hundred fastest growing companies in the United States. He has incredibly garnered over $120 Million from his publishing sales, specifically between his products and those developed by his clients. Isn’t that impressive, I think it is! It has been stated that the summit is targeting the people who are struggling in their online establishment, but what exactly is the primary motivation behind this summit? What are the specific issues that people face when setting up their business? First, the summit will benefit the people who want to develop a good income channel without working extra hard or straining themselves. This is a crucial concern for most people who are employed and often complain of how the salaries they receive are not enough for their bills and probably their families. The summit will help this kind of people and give them tips on how to set up and succeed in their online endeavors. The second kind of people are the ones who wish to earn enough money regardless of the economic situation. It is evident that relying on sources of income that depend on the economy is risky since you will end up losing your money when the economy starts deteriorating due to factors such as elections of new leaders and war. This is a valid concern and having such a source of income is vital. Thirdly, the summit will try to help people who are forced to do jobs that they have no passion in but have to do them for the money. It will help them set up their businesses and replace the income obtained from the jobs by the one generated by the online business. There are several people disgruntled by their jobs, and they would be pleased to leave them if they got an alternative source of income. Lastly, people who would like to have no fixed office and be able to get money from whichever corner of the world they are located. Such kinds of opportunities will be covered in the summit, and these people are all included. The concerns people have are the primary motivators of this summit, and the discussed ones are the main ones. Most people who try to set up their digital businesses have concerns that revolve around the ones highlighted, and the summit will allegedly help them get over their concerns. It has been stated that the summit will be hosted by Anik but will also have a couple of renown speakers who are successful in their online ventures. They are highly celebrated entrepreneurs and are authors of a couple of best sellers, mentored fellow billionaires and lead some of the best-performing companies. They are good at their craft and will definitely make the summit a very informative and important event. The author of the famous book “Rich Dad Poor Dad,” the lead trainer of “The Secret,” Bob Proctor and the Chief Operating Officer of Clickbank, Michael Wiskerchen will be in attendance among other notable personalities. Other than these leading authors, the summit will present some of the incredible transformation coaches all over the world. These coaches have helped several people set up their online businesses, get their first sales and boost their income to staggering six figures. Some of the coaches who will attend the event are Jeremy Bellotti, the head transformation coach, Dave Lovelace, the Director of Education, Andrew Lantz, The Director of Content and a host of several other LURN coaches such as Kane Shieh, Geoff Hand and Zane Baker among others. What Is Expected At The Summit? It has been described as a summit that will help you get your online business from its struggling stages to a successful, six figure sale establishment. But the big question is how this summit will help you achieve these ambitious targets? What tactics and strategies will be brought to light during the summit? It is quite evident that the key to getting significant online sales lies on the amount traffic that is directed to your business. As a starting point, you will learn on how to generate traffic and boost your business leads. This particular aspect has been seen as one of the hardest thing entrepreneurs struggle to do, and you should be able to overcome these struggles by the end of the summit. You will learn how to identify the customer hotspots and learn strategies that will help you direct them to your business. Most of the people working on the average paying jobs never rule out an extra source of income that won’t require a lot of effort from them. The summit will educate such people on how they can set up this kind of jobs and make them successful without putting too much effort. Passive income can significantly help you pay your bills, and you will learn how to generate this kind of revenue at the Lurn summit. Those who wish to completely replace their boring jobs and get some income from online startups will be covered as the trainers will show them how to do it. Getting leads is one thing but converting them into useful sales is another. The summit will cover this aspect of online businesses and entrepreneurs will learn on how to capitalize on the leads they generate and transform them into sales. You will be educated on how a highly converting page looks like and how you can build one. Note that you do not need any prior scientific or technical knowledge to do this. Getting To Terms With Affiliate Marketing. Affiliate marketing is a hot area in internet marketing. Coaches and speakers will educate you on the basics and details of affiliate marketing and how you can identify products that can easily rake in huge profits without having to create them personally. They will show you how to make people buy these products and get your commissions. All these strategies are useless if they are not put into practice and more importantly if they do not have the expected effect. The speakers will enlighten you on how to put these strategies explained in theory to your business within two days and see yourself getting your first sale within the same period. The people in charge have made a lot of money collectively and getting into their circle has several benefits. Aside from marketing other people’s products and gaining commissions from the profits, you could create your products and sell them, something that is more rewarding than relying on commissions. You will learn on how to create your products, market them and sell them effectively. Having your product is a huge milestone and takes you to the next level. Email lists are a great component of online business success and having a quality one should be a priority. You will be informed on how you can build a reliable and quality email lists within a few days. These people on your list will be your primary subscribers and will help generate more traffic to your website. After all the mentioned things have been taught, you will be given a chance to ask all the questions you have. These queries will be asked live and will be answered in the same way. The questions do not have to be a particular topic as you have the free will to ask anything you want. For successful online entrepreneurship, you need a couple of tools that will help you get traffic and monitor your progress. There are several options out there, and the experienced people will direct you to the best tools for different scenarios. You will be enlightened on the term sales funnel and shown how you can use it to boost your business. Last but not least, you will be given some useful copywriting tips that will help you in developing quality advertisements, sales pages and catching emails. The art of writing is imperative to entrepreneurs as it helps engage and attract customers. You may be wondering how much it costs to join these summit after listing the thing you will learn by attending. Surprisingly, it only costs a dollar to join the summit. Normally, events that charge close to nothing like the Lurn Summit have some strings attached. Well, here there are evidently no strings attached as the summit is driven by Lurn’s mission which is to be a transformational home for entrepreneurs. What Are The Benefits Of Online Businesses? You do not have to depend on regular jobs. You do not have to follow set time schedules. You are in complete control of your stuff. You do not depend on anyone. Why Is The Summit Completely Online? With the increased number of people accessing the internet, it is, of course, more cost effective to hold this summit online as opposed to having it in some physical location. This also allows more people to attend as all you need is the one dollar joining fee and a good internet connection. The summit will be held for two days and the main topics covered on the first day will be about setting up your online business. The second day will mainly deal with getting that first sale and scaling up your business. One can learn a lot for just a dollar. Host and speakers are successful internet dons. This summit is simply too good. Other people often sell the information being offered to people there for a lot more. I would really recommend that the people with the listed concerns to make a point of attending the summit and boost their sales.